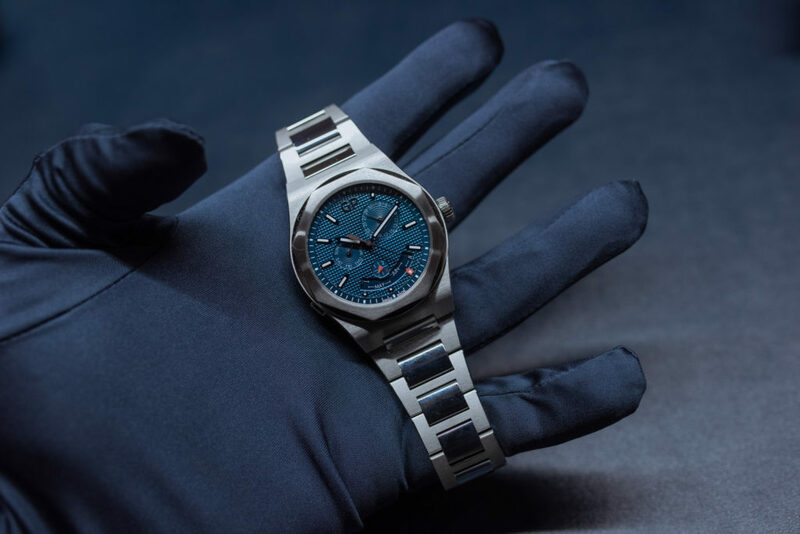 2019: Laureato Absolute is born. The inner strengths of the original model are revealed through an uncompromising masterwork. More sophisticated and more contemporary, it stems from a comprehensive approach to formulating the urban expression of today’s active men. 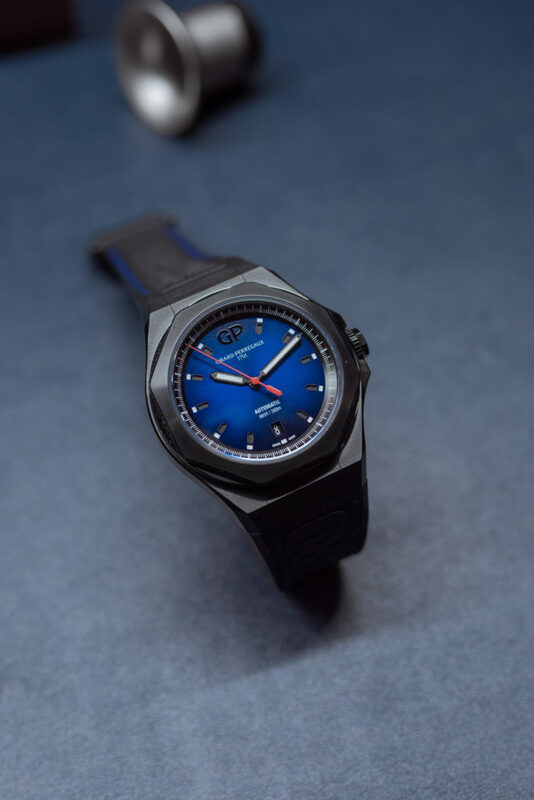 A stronger presence on the wrist thanks to a broader 44 mm diameter, a lighter feel with a case now made of black PVD-treated titanium, along with water-resistance pushed to 300 metres, all complemented by a new fully integrated rubber strap. 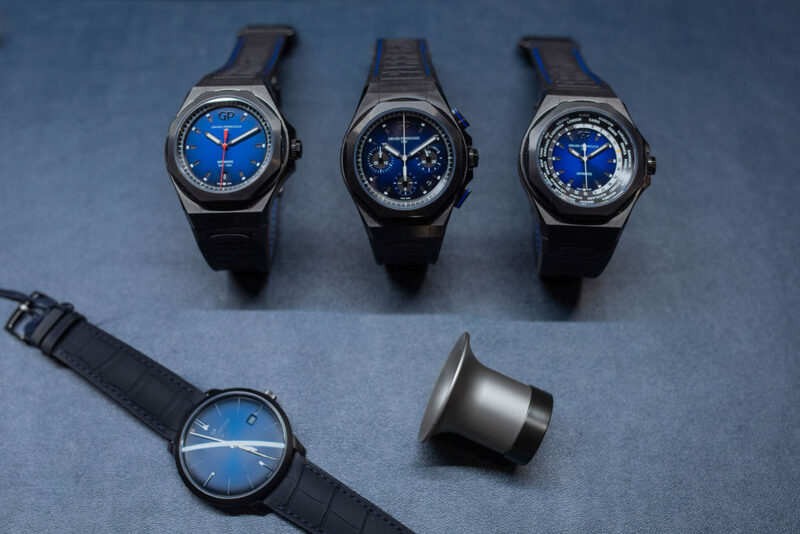 Three models highlighting three functions: Laureato Absolute, Laureato Absolute Chronograph and Laureato Absolute WW.TC, all equipped with Manufacture movements. 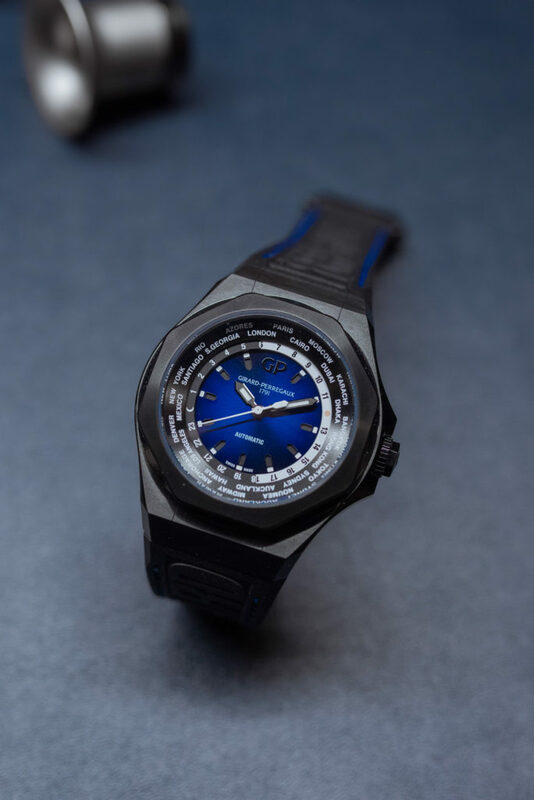 A contemporary and innovative revelation of a brand classic, reinvented for a 149 million-kilometre journey from earth to sky. This odyssey inspired its 149 limited-edition number. 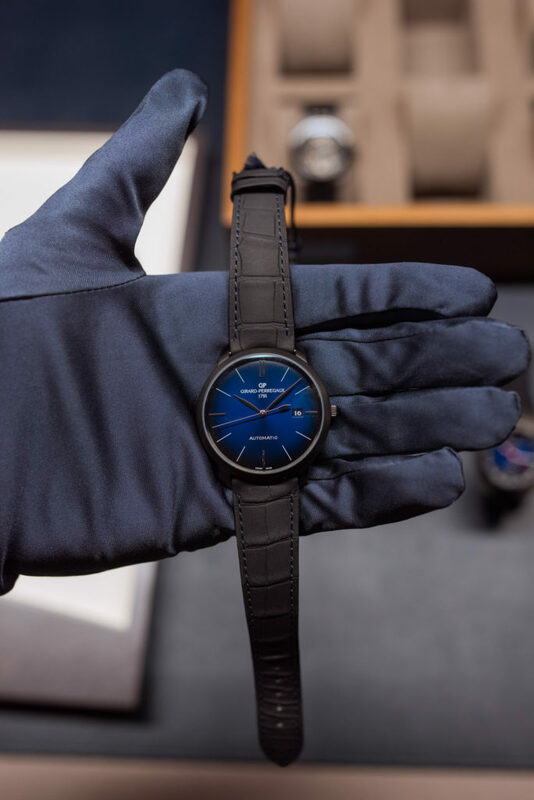 A black DLC treatment for the case and a rubber-patterned alligator leather strap propel this timeless model into a whole new dimension. 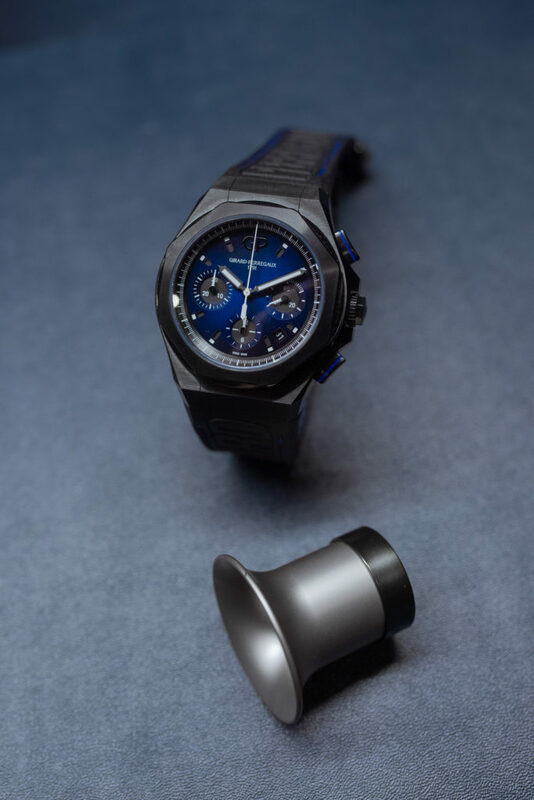 Beating at its heart beneath the metallised crystal is Manufacture Calibre GP03300.